Memorabilia from John F. Kennedy’s brief stint as a Princeton student and items from his political career- including a 1935 Christmas card depicting Kennedy with his Princeton roommates dressed in top hats and suits in homage to Fred Astaire from the motion picture Top Hat (which opened earlier that year), and photographs and documents from the Warren Commission’s investigation into the circumstances surrounding Kennedy’s assassination- are part of a new exhibition in the Wiess Lounge at the Seeley G. Mudd Manuscript Library. Running through September 2, 2011, John F. Kennedy: From Old Nassau to the New Frontier commemorates the 50th anniversary of the election of our 35th President and his Princeton connections. This exhibition showcases the rarely-seen Princetonian side of Kennedy, who attended the University late in the fall semester of 1935 despite his father’s desire that he attend Harvard University. Unaware of his future in politics, Kennedy had declared his intended profession to be "banking" on his application and stated that the campus environment of Old Nassau was "second to none." Kennedy was admitted to the entering freshmen class in 1935 and shared a dormitory with his former Choate high school classmates Kirk LeMoyne Billings and Ralph Horton, Jr. in #9 Reunion Hall South. However, after a brief few weeks as a member of the Class of 1939 he left Princeton due to health reasons and later graduated from Harvard with the Class of 1940. The other presidents to have attended Princeton were James Madison and Woodrow Wilson. Curated by University Archivist Dan Linke and summer intern Nicole Milano, this commemorative exhibition highlights the objects, photographs, and documents created during Kennedy’s time as a Princeton student and throughout his political career, all of which are housed in the two major collections of the Mudd Library. Kennedy’s archival presence in the Princeton University Archives is represented through his scholastic records, freshmen year activities, and medical notes. 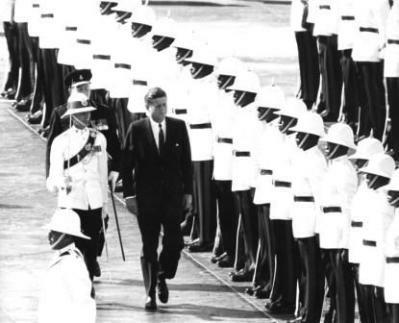 The exhibition also documents his presidential campaign and presidency, including rarely-seen documents about the Bay of Pigs invasion and transcriptions of the Executive Committee of the National Security Council (ExComm) meetings held during the Cuban Missile Crisis. His later political career is detailed through collections of his contemporaries housed in the Public Policy Papers, including the papers of former Democratic presidential candidates Adlai Stevenson and Senator George McGovern. 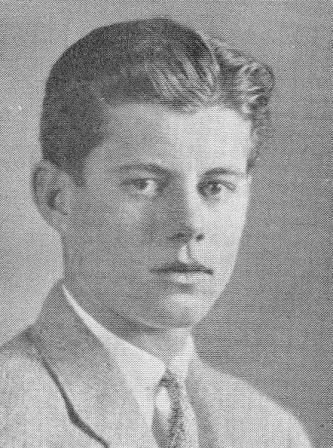 This exhibition also chronicles the mixed feelings of Kennedy’s classmates toward his political career, including several of whom declared in their 25th reunion yearbook that their 1960 presidential vote had been for "Anyone but Kennedy," while a brief paragraph paying tribute to him and his connection to the class was also included in the book. A few years later, other members of his class erected a memorial in his honor in the Class of 1939 Hall dormitory. "While Kennedy’s time at Princeton was abbreviated, he himself noted that he would always have a ‘very tender spot in his heart for Old Nassau.’ With this exhibition, all can see that Princeton was endeared by his presence," said Linke. "In addition, we also highlight that during his presidency, he was served by many notable Princetonians." Kennedy’s Princeton classmates have not been forgotten, and a small, related exhibition case in the lobby of the Mudd Manuscript Library documents the Class of 1939’s undergraduate and alumni activities through photographs and memorabilia. 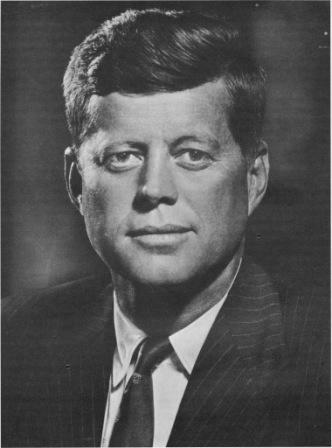 John F. Kennedy: From Old Nassau to the New Frontier is open to the public free of charge Monday through Friday from 8:30 to 4:30 until Labor Day, and then from 8:45 to 4:45 Monday through Friday during the academic year. A Saturday open house will be held on October 23 from 9:00 am to noon. If you have questions or would like to learn more about the exhibition please call us at (609) 258-6345, e-mail us at mudd@princeton.edu, check us out on Facebook, view the official press release for the exhibition (JFK Press Release.pdf), or leave a comment on this page. 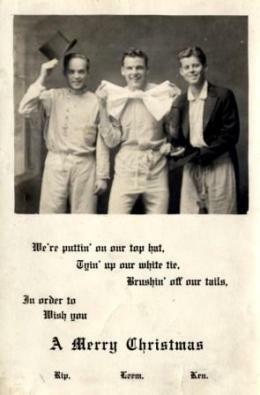 This entry was posted in Library News and tagged Class of 1939, John F. Kennedy by Mudd Manuscript Library. Bookmark the permalink.